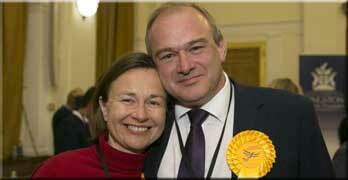 LKP’s LibDem patron Sir Ed Davey was returned to Parliament at the election for the Conservative held seat Kingston and Surbiton. He rejoins Sir Peter Bottomley, Conservative, Worthing West, and Jim Fitzpatrick, Labour, Poplar and Limehouse, after having lost his seat in the 2015 election. LKP warmly welcomes the return to public life of Sir Ed, the former Energy Secretary during the Coalition Government. In 2009, Ed held the earliest Commons meeting of the Campaign Against Retirement Leasehold Exploitation which is the sister organisation of LKP. He was also a strong ally during the Campaign against Retirement Leasehold Exploitation intiative into the collusive tendering scam at 65 retirement sites by the property manager Peverel (now FirstPort). Peverel’s subsidiary systematically cheated pensioners with bogus bids for electronic door entry systems where the contracts were won by its subsidiary Cirrus. The Office of Fair Trading made the ruling of collusive tendering, but there was no criminal or civil sanction. Two of the three stooge companies that put in bogus bids against Cirrus promptly went bust and avoided censure. No one at Peverel / Cirrus lost their job. Peverel made a £100,000 “goodwill gesture” to compensate the cheated pensioners. Ed was a powerful voice calling for justice. He was also a strong supporter of Charter Quay in Kingston, the prime riverside site where LKP trustee Martin Boyd is chairman of the residents. Here Martin orchestrated litigation that won back more than £500,000 in overpaid service charges to Peverel and the head lease owner – via “quasi Biblical complexity”, according to a judge – Vincent Tchenguiz, whose Tchenguiz Family Trust vehicle is based in the British Virgin Islands. In July 2013 Ed was guest of honour at the fete to celebrate the leaseholders buying the freehold. 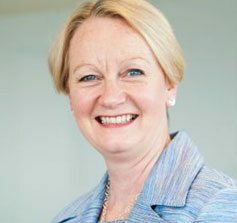 The residents paid under £900,000 for the head lease under the terms of an acquisition order, although unaccountably it had been valued on the Tchenguiz books at £3.2 million. The discrepancy of values has never been explained. While we welcome Sir Ed Davey back to the Commons, we pay recognition and thanks to the contributions to leasehold reform of his Conservative predecessor, James Berry, who was a member of the All Party Parliamentary Group on leasehold reform. Two other former Conservative MPs who served on the APPG but fell at the election were Oliver Colvile in Plymouth and Stewart Jackson in Peterborough. We thank them for their contribution to the cause of reforming leasehold laws. We also pay tribute to Gavin Barwell, the former housing minister, who lost his Croydon Central seat. Mr Barwell, and his Secretary of State Sajid Javid, understood the issues of leasehold houses and onerous ground rents and were reviewing government policy to disadvantaged buyers, many of who had used the Help To Buy scheme. Membership of the APPG is not restricted to Members of Parliament or the House of Lords, so the ousted MPs could still attend if they are committed to the cause. As for the ousted Housing Minister reviewing the issues of a Leasehold, how many times have we heard that in the past seven years. TW , Persimmons and Barratts shares down 3% as a result of the General Election. He is one of those people of whom Mr Gove said the UK had had enough of: an expert. His joining the AAPG and helping to move things forward would be very welcome. We need more Charter Quays, then Commonhold, then a phase out of leasehold altogether. Just as we need a transition to renewable energy.